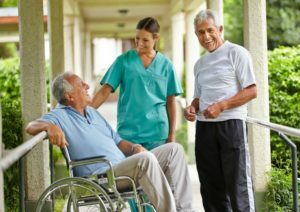 An estimated 70% of individuals 65 or older will at some point require some type of long term care services. According to Genworth, the 2018 average monthly cost of service for Toledo area nursing homes is $7,017. That’s over $84,000 a year! A private room averages $7,989, while a home health aide would still set you back nearly $4,200 a month. If you become part of the estimated 70% that requires long term care services….how do you plan to pay for it? If you are married, would these costs leave your spouse with anything? Your family? Beck Insurance Agency has several products and methods available in addition to conventional LTC products to help leverage against these possible costs. Contact us today to schedule a review. Click here, or call Beck Insurance at 419-446-2325. 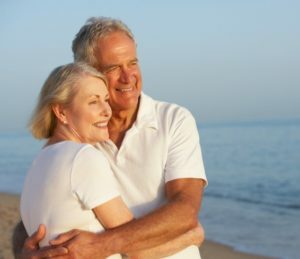 Conventional long term care insurance is too expensive now. Fortunately, many of our life insurance markets have rolled out unconventional products that provide affordable long term care insurance solutions. One such solution available through Beck Insurance is Lincoln Financial Groups “Money Guard II”. Planning ahead with Lincoln MoneyGuard® II gives you flexible options beginning at age 40. This universal life insurance with an optional long-term care benefit rider gives you a choice of premium payment options of one through 25* years. Unlike traditional long-term care insurance, your policy costs are set at issue and will never increase provided your premiums are paid as planned and no loans or withdrawals are taken. Your policy provides benefits, even if you never need care, provided all total planned premiums are paid. You get more for your money because your policy provides income tax-free reimbursements for qualified long-term care expenses worth more than your premium payments.1 Once eligible, there’s no deductible or waiting period, which could make a real difference in your total out-of-pocket costs for qualified long-term care expenses. Take the next step toward your future with Lincoln MoneyGuard® II. 1. Add inflation protection options4 to help keep pace with rising long-term care costs. 2. Feel confident if you live abroad because your policy includes international benefits. 3. Help protect your savings and your legacy. 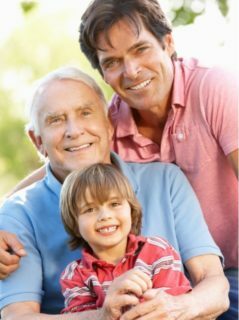 Call Beck Insurance today at 419-446-2777, or click here for more information on alternative, affordable Long Term Care solutions. Posted in Blog | Comments Off on Conventional long term care insurance is too expensive now.